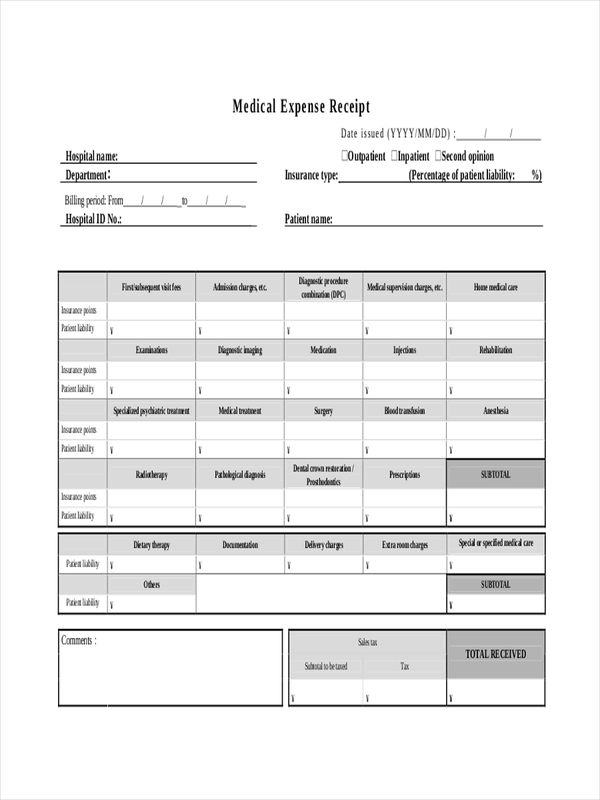 In making expense reports or expenditures, expense receipts are accounted for as one of the sources for expenditure or spending in a business. 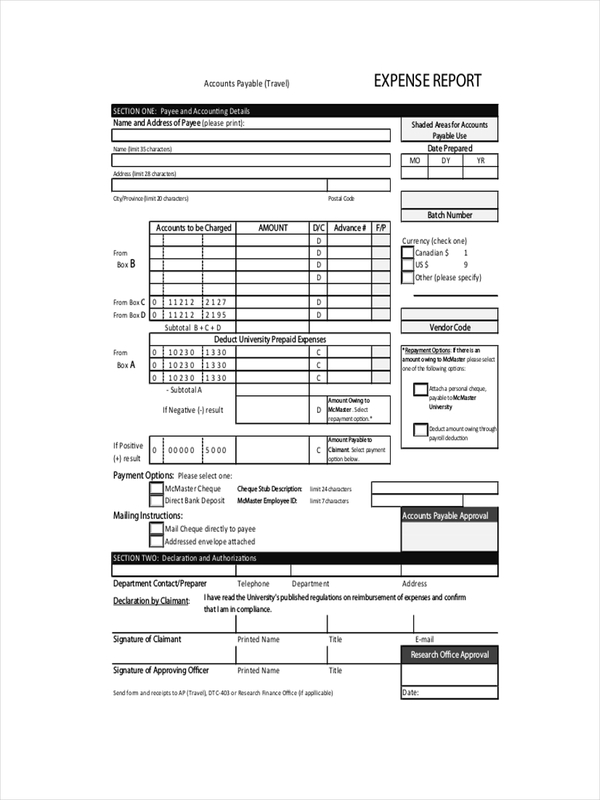 Any receipt of expense given to an employee in connection to his work or operation of his work is considered as an expense receipt. 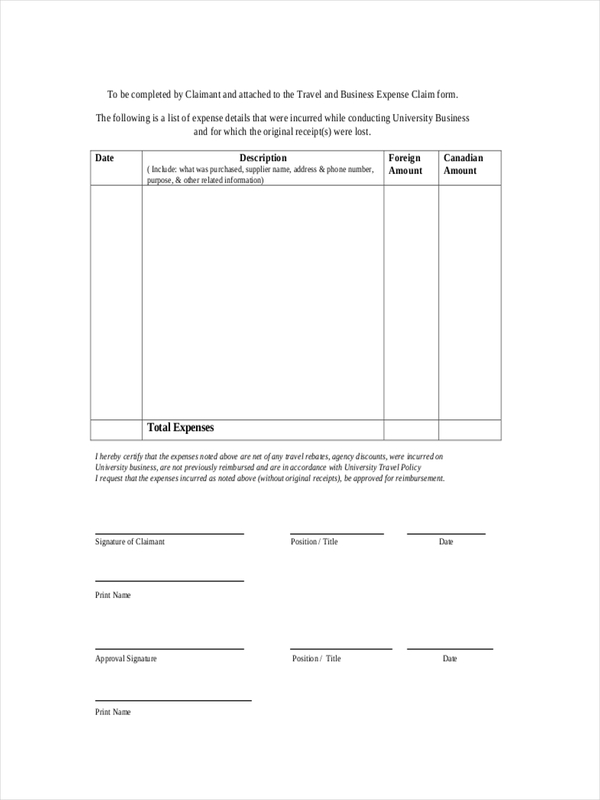 Examples found in the page can be made basis or may provide insight in the set up of a receipt and the making of the receipt. Feel free to look around and download any sample by clicking on the download link button just below the sample to gain access to that file. What Is an Expense Receipt? 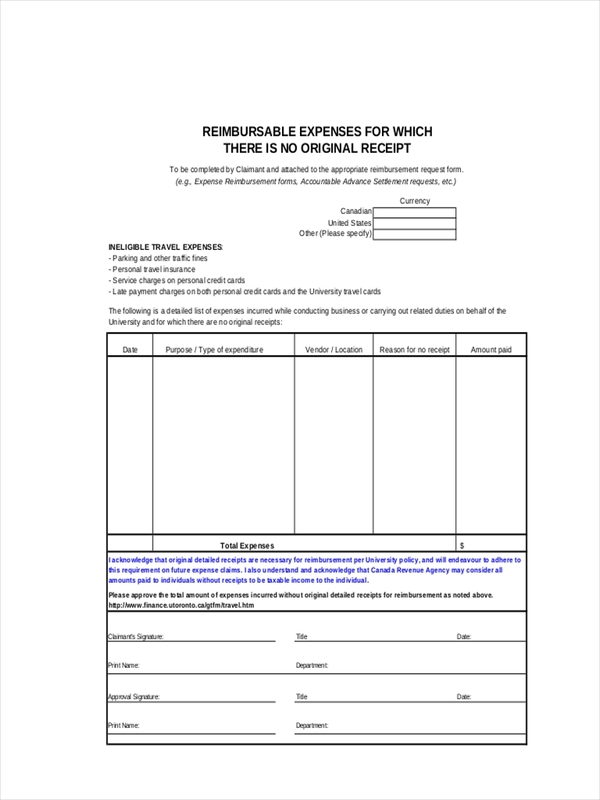 An expense receipt is proof of any expense or disbursement of funds. The receipt is highly important in getting reimbursement if an expense is made on behalf of a company for doing business operations. Fixed expense – Fixed expenses are necessary expenses or costs in doing business. 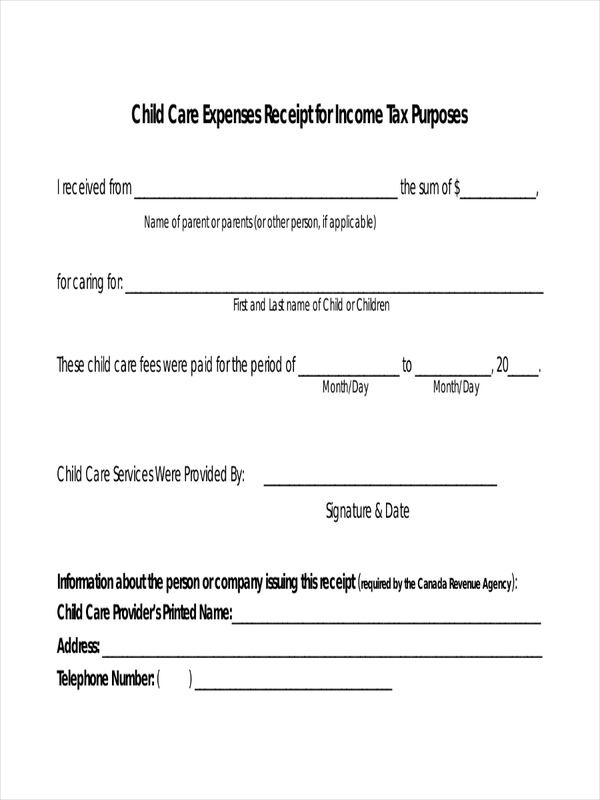 These type of expenses are regular such as rent or car payments and is constant month per month. Discretionary or optional expense – Expenses falling in this criteria may be for lunch meetings or awards like gift certificates. There are probably other receipts that may be considered as an expense receipts, but again depending on how or when the transactions were made can be classified under the above types. Anything in relation to work can be claimed but has to be processed to verify the claim. 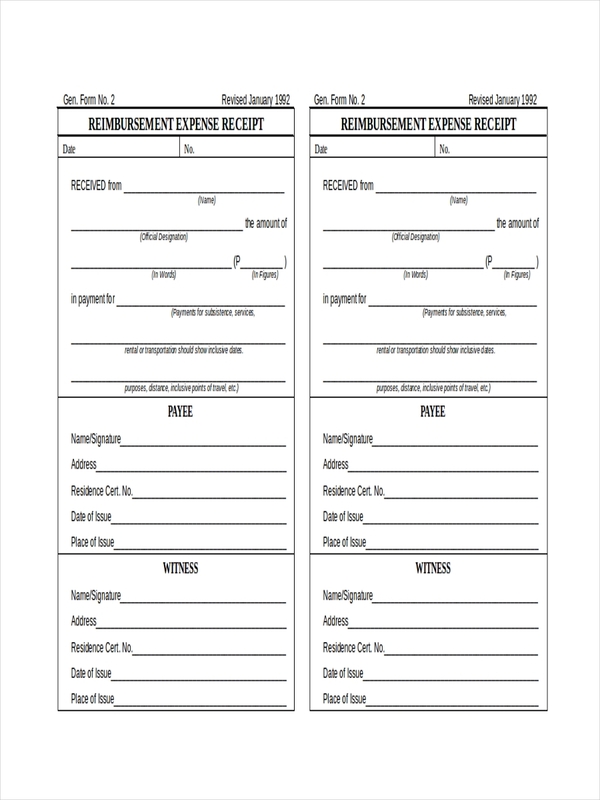 An expense receipt is commonly used in reimbursing work related expenditures using personal money. These free receipts are also gathered and recorded to assess how much is being spent in relation to what is being made for the business. There are other points that have to be considered in making an expense claim such as splitting claims. It is strongly advised to have separate claims than sharing a single expense claim. For meal claims, an original receipt from the restaurant is required. Each purchased item has to be spelled out and persons present during the meal have to be named. When purchasing supplies or office equipment, justification has to be made regarding the purchase. For the finer details, it is better to learn from real-life examples. For that, just choose any of these receipts or others on the site for your reference. All of them can be downloaded for free and may be immediately useful for official purposes.